All hail Plantronics! The Plantronics RIG 500 Pro may be the most affordable, professional quality gaming headset available. The great thing about gaming in 2018 is you no longer need to buy a headset meant just for console gaming, or a headset made just for PC gaming. Gaming is gaming and we aren’t here to debate which is better. Today we have the Plantronics RIG 500 Pro which exemplifies this fact as you can use it for both PC gaming and on your XBOX. We are currently harnessing the most advanced technology when it comes to sound, and how we hear things and Plantronics is utilizing the full potential of this technology. The design is perfect for anybody’s noggin. The oversized ear cushions are the equivalent to putting two pillows on both sides of your head. Incredibly comfortable to say the least. 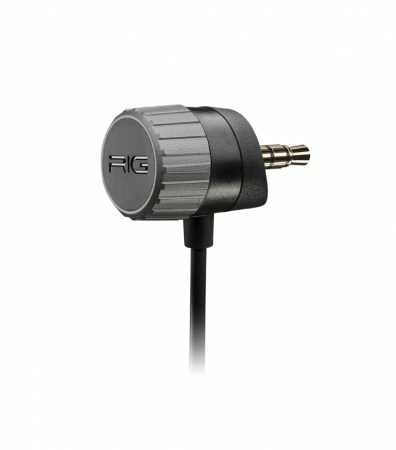 This allows for you to get your game on for hours at a time without any ear fatigue. Now I know that isn’t an actual thing, but anybody who’s ever owned a less than awesome gaming headset knows exactly what I’m talking about when it comes to ear fatigue. The oversized ear cushions house the oversized 50mm drivers. Big drivers mean big sound. Some people say that size doesn’t matter, but let me assure you in this case it does. While the ear cushions are large, the headset itself is actually very lightweight. In fact, there is little to no pressure being applied to my head when wearing these bad boys. There is an additional cushioned band on the top of the headset which is relatively unique to the RIG 500 Pro headset. Once again, this makes for maximized comfort. As for the sound, it is quite nice. The high’s are nice without any distortion, while the lows are pretty slick when it comes to the in-game sounds. These aren’t meant for rocking out to your tunes. They sound fine, but using them exclusively for gaming will yield much better results. Why you ask? I’ll tell ya! 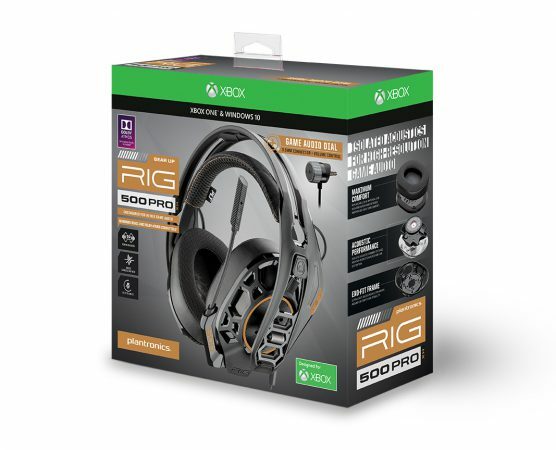 Included in your purchase of the RIG 500 Pro gaming headset is a code that can be used for both XBOX and Windows 10 that allows you to download Dolby Atmos. For those of you who haven’t read my previous reviews in regards to Dolby Atmos, it is the latest and greatest sound technology allowing you to not only hear sound in front of, behind, and to the sides of but also above you. A full 360′ soundscape while gaming and it is AMAZING. People pay thousands of dollars for this technology in their living room, why not experience it for yourself while gaming? Plantronics has got you covered! What’s fun is the little before/after experience that comes with the software download. 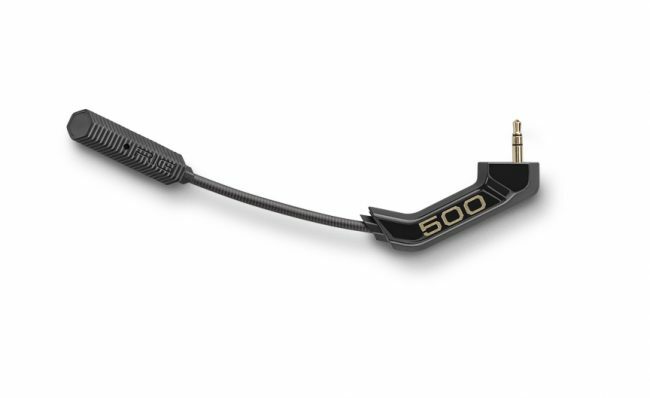 Other fun features included in the Plantronics RIG 500 is the included game audio dial for your XBOX One connection. Formerly was known as a mixer. It’s much smaller than previous mixers and is really only a dial. It’s nice as it isn’t intrusive but doesn’t allow for the same options that other mixers allow such as party muting, game muting, etc… This is alright though because the microphone itself will automatically mute when you flip the microphone up. Another nice feature for those of us who record or stream with a standalone mic is that microphone detaches from the headset. 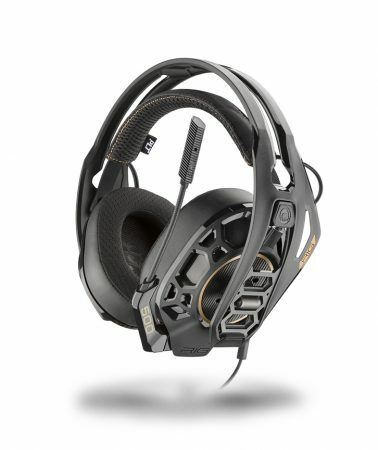 Overall this is a nice headset, and for those of you who want to step up their game without breaking the bank, the RIG 500 Pro headset is perfect for you. 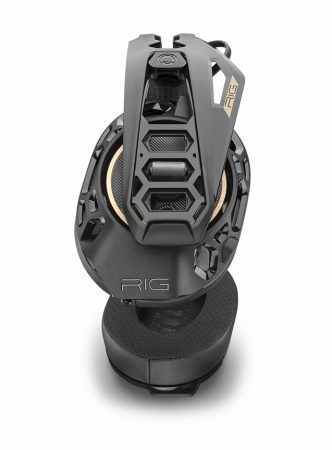 It can be ordered directly from Plantronics for only $89.99 which in all honesty is a steal. With the included Dolby Atmos, and the high-end sound that you are getting it is worth a bit more. Who am I to say though? You can order it directly by clicking here! Plantronics are professionals when it comes to sound, as they’ve been in the game making headset before I was even a true gamer…and I’m in my 30’s so keep that in mind.